ID: 470 ~ Source: First Congregational Church, Prior to 1956. Postcard, n.d. Joe Nucci Personal Collection. 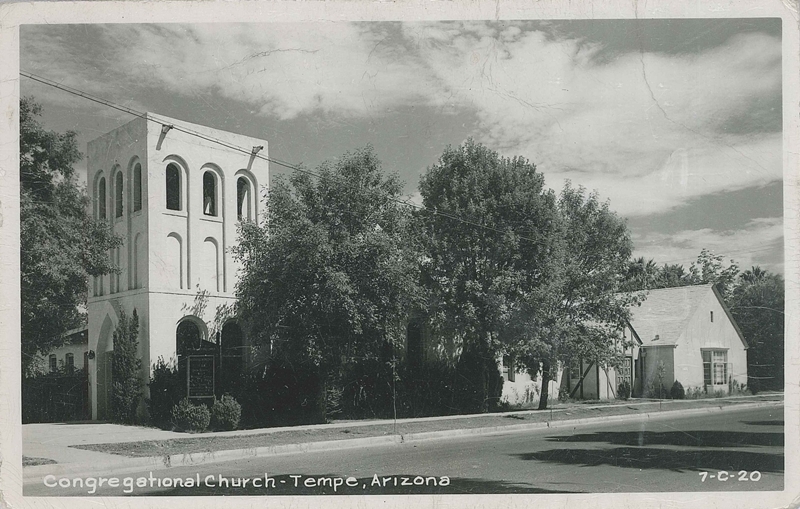 This postcard depicts the rectangular, block structure located where the spire is today.